Summary Recommendations: Tinzaparin is a low molecular weight blood thinner. The drug is prescribed to treat DVT (deep vein thrombosis) and angina. It may be prescribed for off-label uses as a doctor sees fit. The common name for tinzaparin is Innohep. 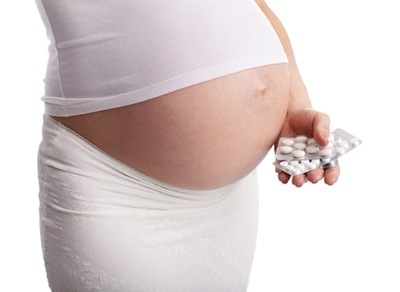 General Precautions: Tinzaparin is one of the blood thinners of choice for pregnant women. LMW (low molecular weight) blood thinners are preferred over standard heparin drugs. If you have a condition that requires a blood thinner, continue to take that blood thinner even if you find out you’re pregnant. Stopping your medication could lead to improper blood clotting and increased risk of death. Your doctor will talk with you about the benefits of tinzaparin or other LMW heparin. The preservative benzyl alcohol is used in some preparations of tinzaparin. Benzyl alcohol may cause Gasping syndrome in newborns and should not be used by pregnant women. There are other preparations of tinzaparin that don’t contain benzyl alcohol. Effect While Trying to Conceive: Tinzaparin will not impair fertility in men or women. Blood thinners have been used by fertility specialists to increase fertility in some cases. Effects on Pregnancy: There are some reports of negative side effects on infants born to women who’ve taken tinzaparin during pregnancy, but the reported side effects have not been definitely tied to the drug. The studies reporting the negative side effects included women who were at elevated risk of pregnancy complications – so other factors could have been responsible for the conditions. There are multiple LMW heparins to choose from. If you are worried about the potential of negative side effects, talk with your prescribing physician about other available drugs. Never stop taking tinzaparin without talking with your doctor first. The potential side effects of the blood thinner may be less severe than the potential side effects of a blood clotting condition left untreated. Safe During Breastfeeding: Tinzaparin does pass into breast milk, but only in extremely low levels. There are no reported problems concerning infants breastfeeding on mothers taking tinzaparin, but that is likely because there have been no studies on the drug. Other LMW heparins have been the subject of study with no negative side effects.